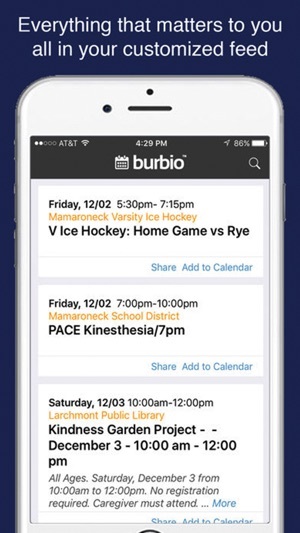 Burbio puts everything going on in your community in one place and makes it quick and easy to keep track of all the local events that are important to you - from schools, libraries, town, recycling, and other community groups and businesses. Create your own custom event feed, follow local calendars and and sync events so you never miss out on anything important to you again. Follow calendars to create your own custom events feed. 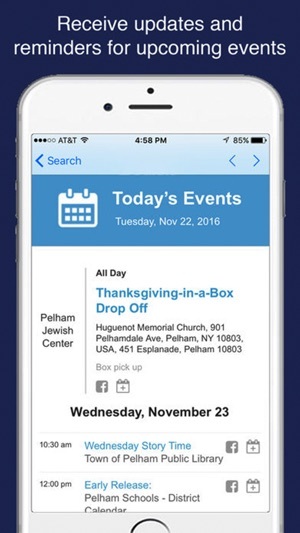 Select just the events you want to add/sync to your personal calendar on your device or on the cloud. 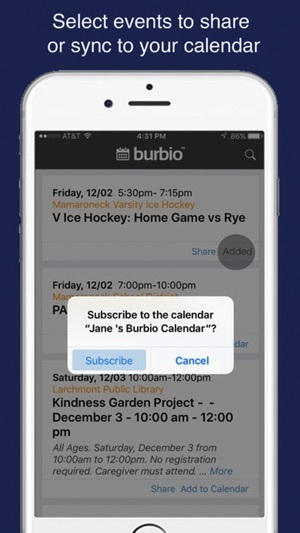 Get notifications and automatic calendar updates when events change. 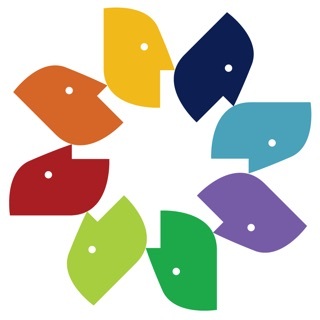 Get bi-weekly email notifications of upcoming events in your feed. I'm looking forward for updates that will improve filtering and sorting of events. 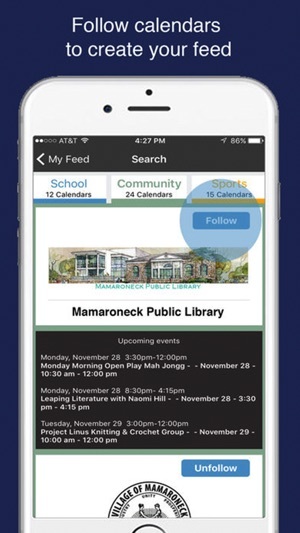 The Events in the "My feed" tab of the app become listed and cannot be filtered by which community calendar you want to see. Also, it would be nice to have a calendar view where I can click on a date and see which my community events I'm subscribed to are occurring on that day. Also, I've noticed that for some reason today's community calendar cannot be viewed on my feed it's always a day Ahead. For example, today is Sunday 8/27 & I can only see 8/28 and on. 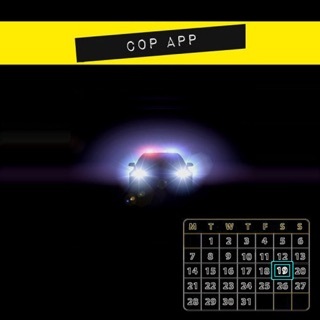 With all this said, I know it's a new app so I'm going to be sticking around for this wonderful database of local calendars! Seems great. Lots of local schedules all in 1 place. But the problem is that when I ‘follow’ certain items, it continues to show me all. So too much showing that make it valuable. Also, I set up an account and password, but now seems to not be recognized when I try to manage my account. 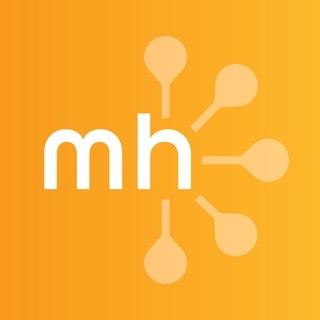 Great app, it has made my busy schedule so much more easier to manage!